Home / Cryptocurrency / Market / News / Bitcoin Closes In On $17,000 New Record! Bitcoin Closes In On $17,000 New Record! Bitcoin is now worth $16,432.00 per Bitcoin as at the time of this writing! The cryptocurrency's value has kept increasing over the week, gaining over $3,000 in the last 24 hours alone. Early this morning (Thursday), Bitcoin was worth over $15,000 though the coin saw a drop in value only to spike to an all time high. 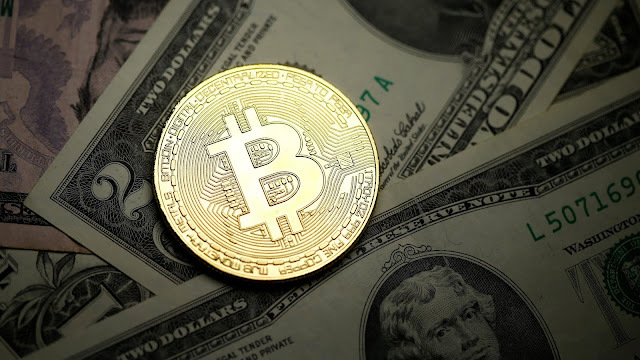 So many factors have contributed to the increase in the coins value and some experts believe that the sudden increase wont last long as they predict that the cryptocurrency would come crashing. So many factors have contributed to the cryptocurrency sudden rush and spike in value. President of the Bitcoin Association of Hong Kong, Leonhard Weese, attributes the sudden rush to those who were "motivated by fear of missing out and greed." Bitcoin whose market cap is put at $274,844,704,784 dominate about 65.1% of the cryptocurrency market. Another cryptocurrency that has appreciated in value quietly is Decentraland. The cryptocurrency which currently ranks at number 50 had no difficulty in toppling TenX to take its spot. All thanks to a 177% increased value. With a market cap of $230,954,456, Decentraland is in pursuit to topple PIVX and MaidSafeCoin which has a market cap of $255,937,122 and $256,985,055 respectively.